The Mission of the Coast Guard Exchange is to provide quality merchandise and services of necessity and convenience to our Coast Guard men and women as well as authorized patrons at competitive prices. 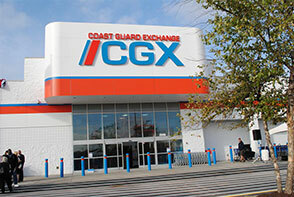 The Coast Guard Exchange (CGX) is one of many support organizations within the Department of Homeland Security (DHS). CGX is a military activity that operates as a business enterprise. Income generated is used as working capital to maintain CGX locations throughout the United States and abroad as well as to provide the Coast Guard with supplemental funding to the Morale, Well-being, and Recreation (MWR) fund. Because CGX provides services to its customers in remote areas, some locations operate with little or no profit as a benefit to military service members and their families.